Although not nearly as cool as Middle Earth, exploring Middle America has been an experience. Turns out there’s a Washington, Jefferson, Madison, and/or Franklin just about everywhere in this country. There’s also a Kansas City, Kansas; Kansas City, Missouri; Kansas, Illinois. You think Americans could be a bit more creative. 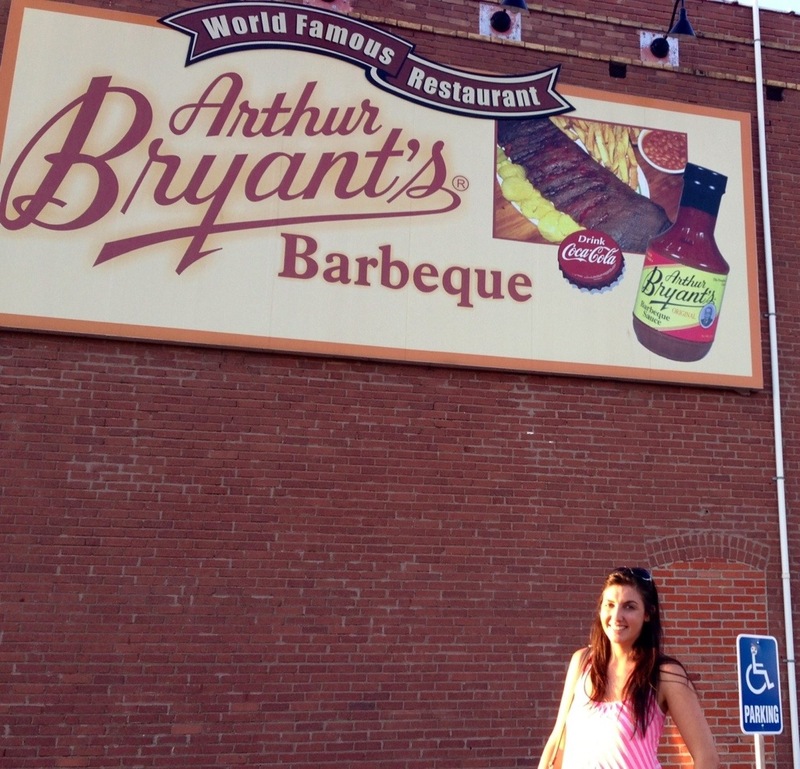 After 9 hours of staring out at endless plains and fields, Anthony and I took reprieve at Arthur Bryant’s BBQ in Kansas City, Missouri before stopping for the night in Jefferson City. 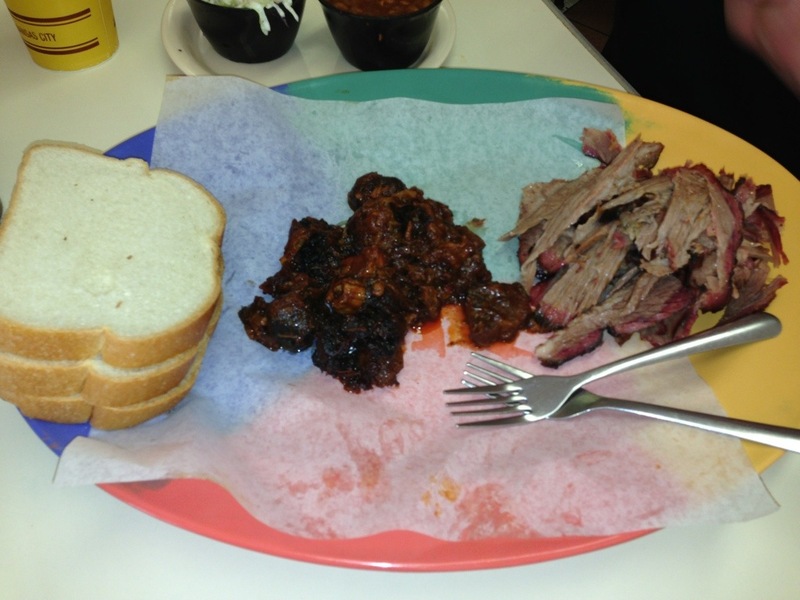 On the border between Kansas and Missouri, Kansas City is known for many things, but perhaps most of all, it’s known for BBQ. 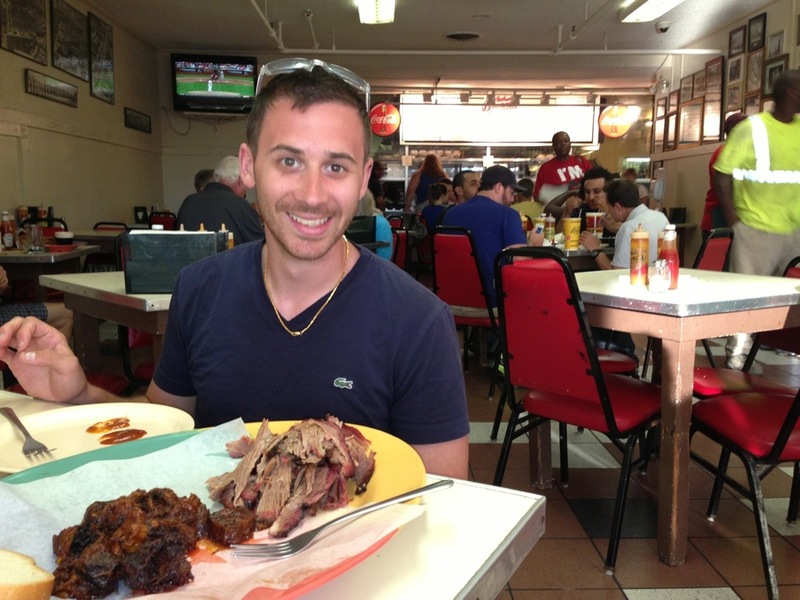 Travel Channel’s Man v Food showcased two of Kansas City’s finest: Gates and Arthur Bryant’s. We chose to stop at the latter and we weren’t disappointed. For just $12.20 you could choose a pound of any combination of their mouthwatering smoked, pulled, juicy, delicious meats. (If you’re reading this, Nick, you’d be in HEAVEN) For my poor pork-hating body, Anthony and I split a half pound of burnt ends and a half pound of beef brisket. On the side we had baked beans and coleslaw. Magnificent would be an understatement. The sides were even so good that Anthony went back up to order another one of each. Meanwhile, I sneakily slopped up the saucey, greasy, fatty remnants of our beef feast from the plate with a slice of white bread. Properly protein’d up, we returned to the road…ready for Missouri’s capital, Jefferson City, to meet the future President of the United States.